Gorgeous micro:bit Pinout Poster from @pighixxx | #microbit « Adafruit Industries – Makers, hackers, artists, designers and engineers! Like the Arduino Pro Mini poster this poster of pinouts on the micro:bit is fantastic! 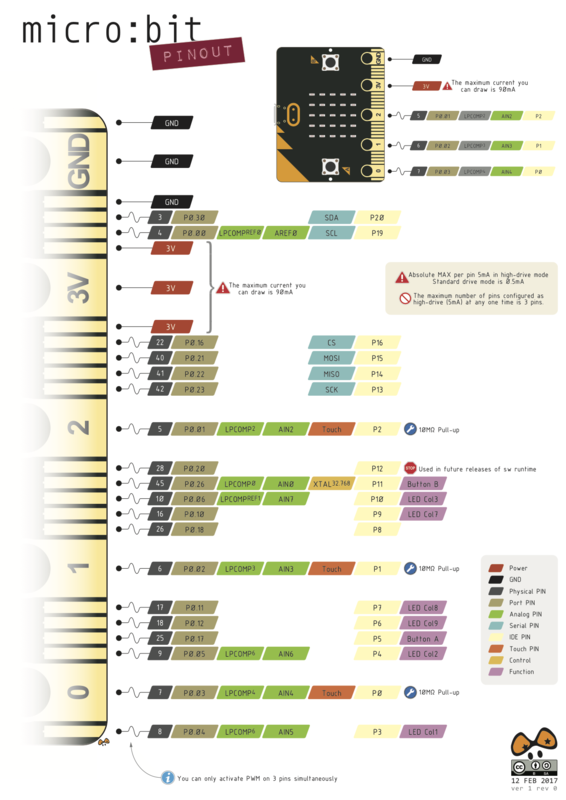 These are great at-a-glance posters that you’ll want to print out and display near your makerbench if you frequently work with the devices the posters illustrate. Their aesthetic is pleasing to look at and they’re sometimes easier to read than documentation accompanying the device they visualize! View the full, high-resolution ‘pretty photo’ PNG here at pighixxx’s website.